Metatonal Music offers replacement strat necks for equal temperaments 13 through 41. If you want something custom just email us! We also offer Just Intonation and Non-octave fretting. Replacement necks will fit most strat and tele guitar makes and models. For international shipping options email us for rates, we ship worldwide. Metatonalmusic@gmail.com. 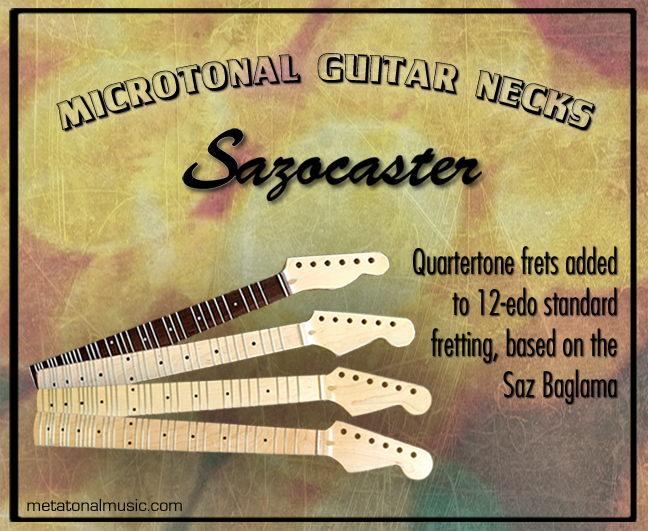 King Gizzard / Saz fretted replacement Guitar Necks and Basses! 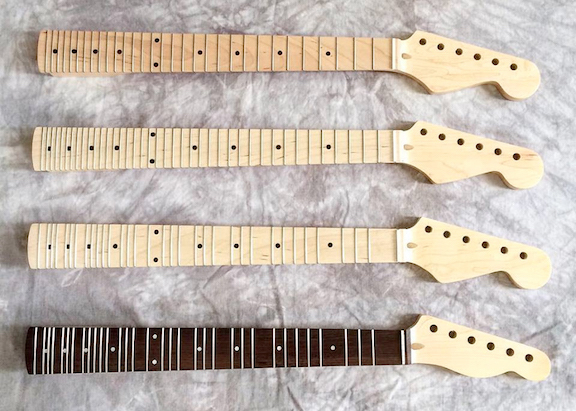 13-tone Bohlen-Pierce (non-octave) replacement guitar necks!